Creation of a “box bar” for whisky. 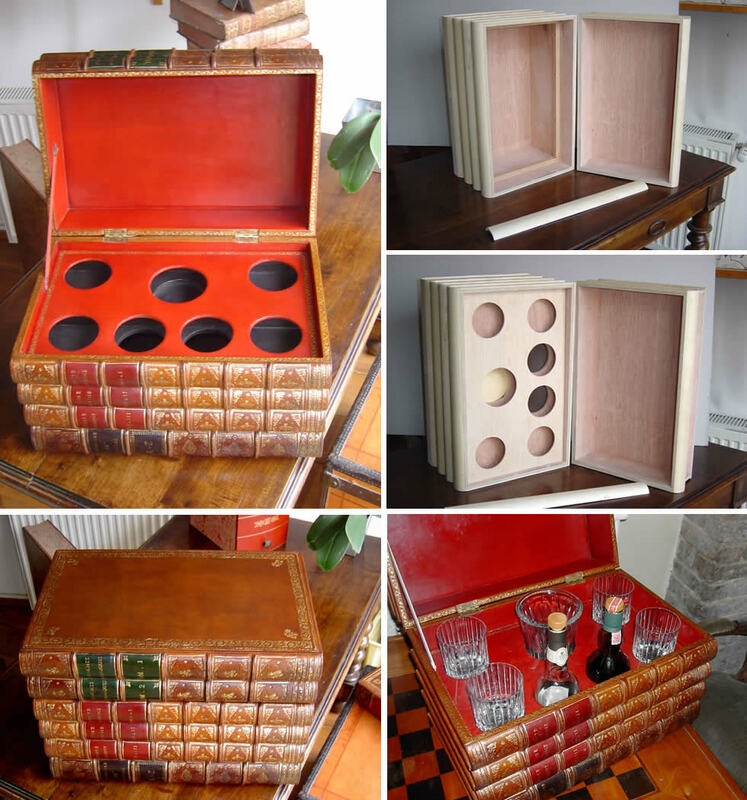 I worked with a cabinetmaker who made the box, the rounded rods for the mock book spines, and the circles with a diametre of a whisky glass. I lacquered the interior of the box in black. It was then covered in red Basane leather inside and tan-coloured Basane leather outside. Creation of mock book spines with an 18th century decoration and tile labels.